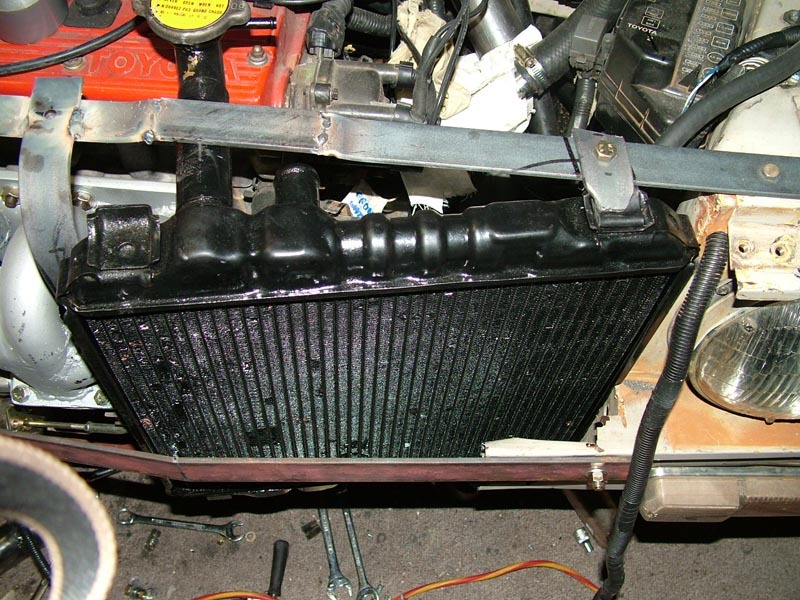 While the bonnet almost makes it the neck of the radiator is obviously impeding the bonnet coming fully down. 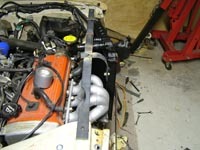 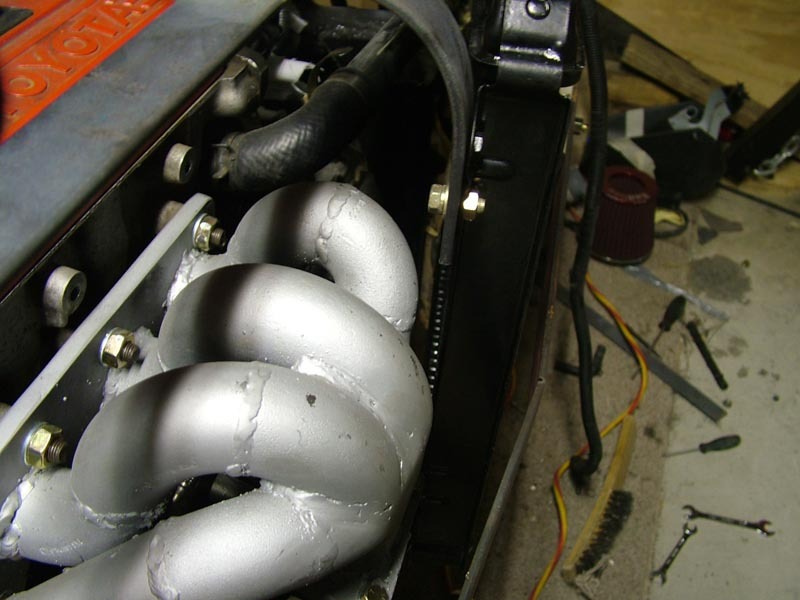 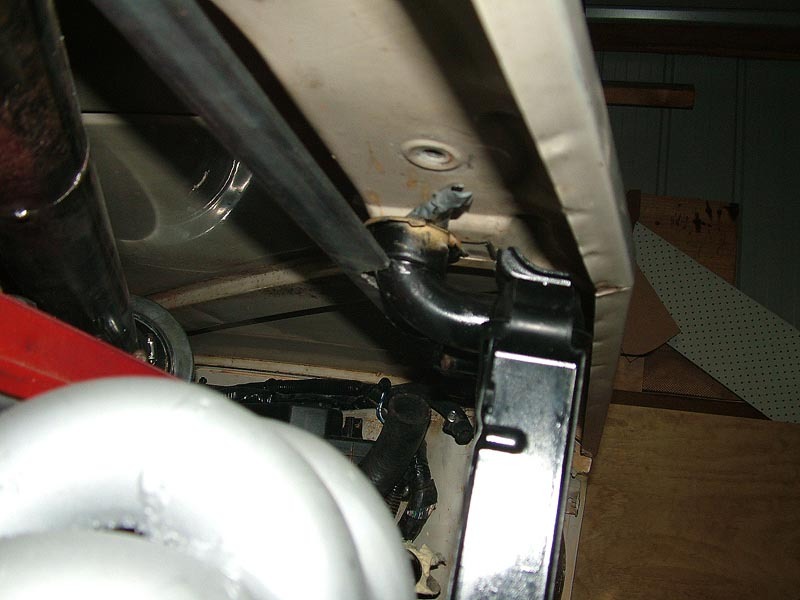 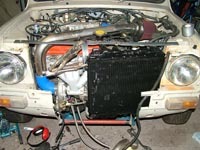 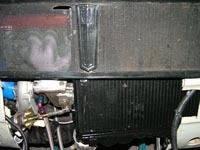 As you can see in this photo and the preceeding one the neck of the radiator has been lengthened to take it back a bit. 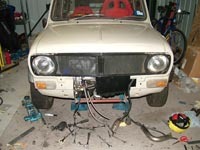 It now clears the bracing in the bonnet and the bonnet can come down fully. 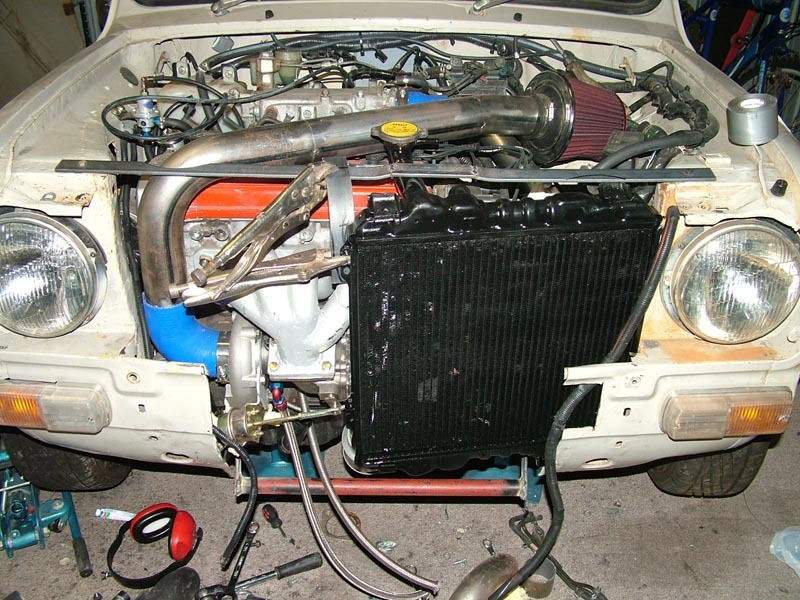 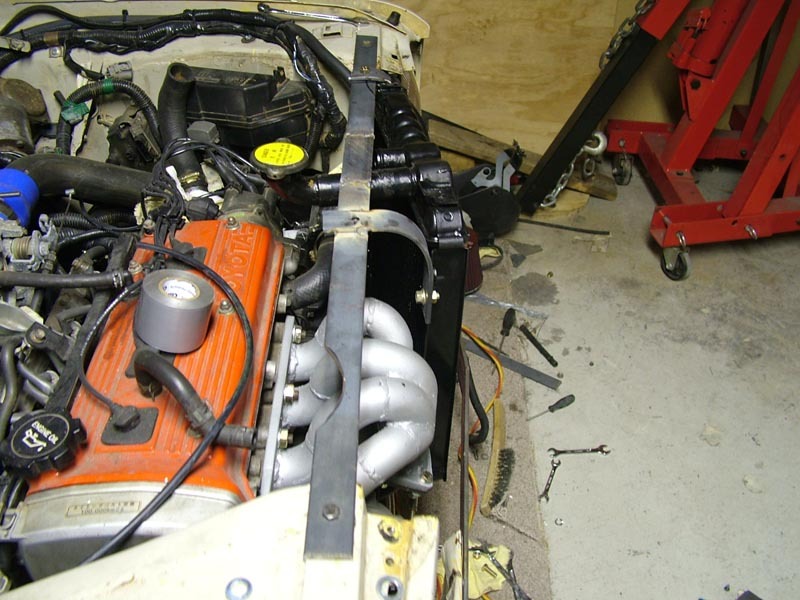 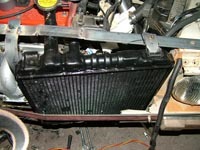 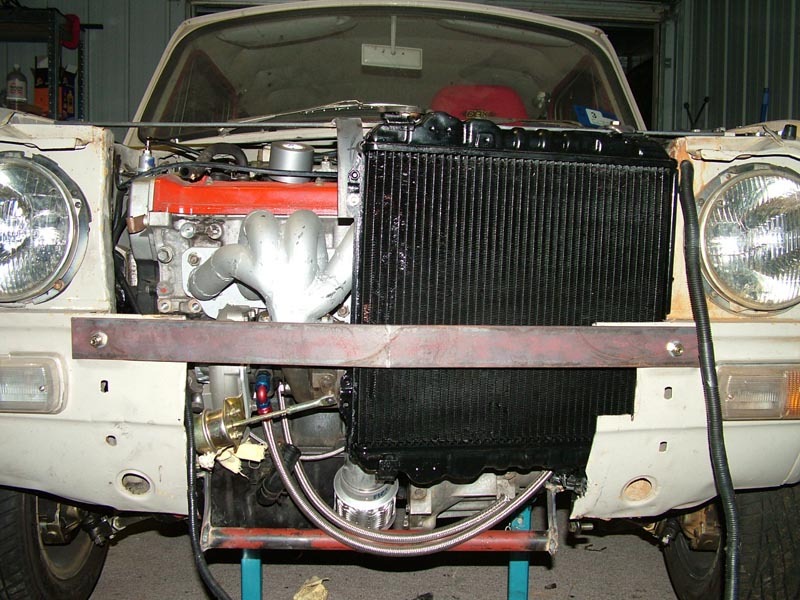 Here is an image of the radiator in place with the grille placed in front. 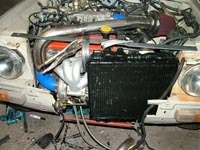 Unfortunately this is with the radiator placed against the headers. Which obviously can't stay that way. 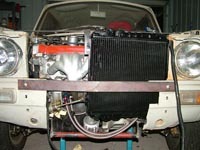 With the radiator placed away from the headers by 10mm the grille does not fit optimally (a little bit bowed). 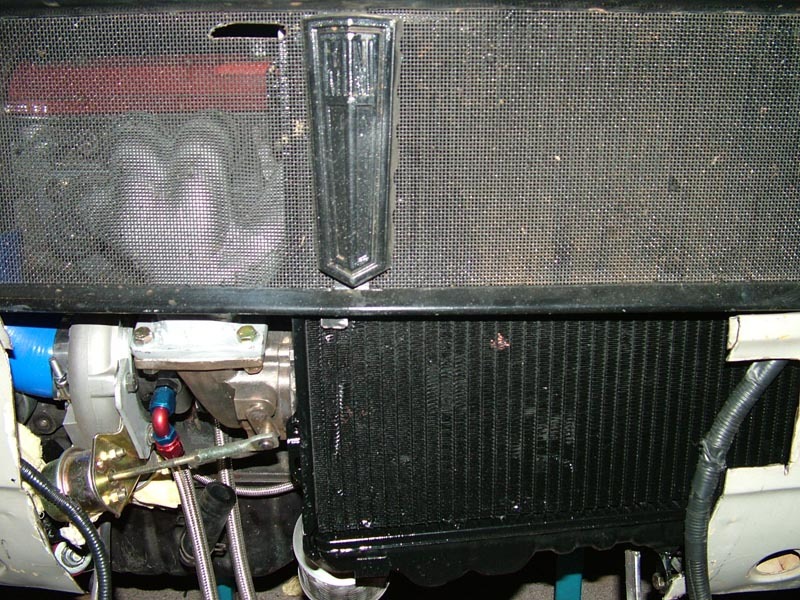 If I "knick" the top edge of the grille it returns almost to the right spot. 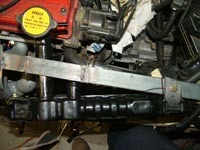 This is obviously something I will have to live with as I can see no other solution really. 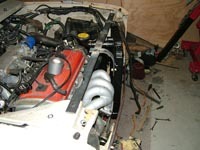 Still it will be almost imperceptable to the passer by.